While vehicle loading may seem one of the simplest tasks for a tradesperson, it can also be one of the most dangerous. The task of moving items from one place into a vehicle can lead to serious injuries if not carried out with care. From manual handling injuries to mistakes occurring due to lack of proper communication – we cover some of the biggest risks and show you how you can prevent them. The risks of improper manual handling are well documented. From strains and sprains to back injuries that can leave you injured for life. When approaching a heavy load, ‘having a go’ at lifting it or moving it yourself is just not worth the risk. Top tip: Never attempt to lift anything that can’t be carried with ease – and if the item weighs more than 25kg, you shouldn’t be handling it with your body weight alone. Refresh your knowledge of the dos and don’ts of manual handling with a safety training course. Working at a height can be problematic on any vehicle. Falls from a relatively low height – such as a vehicle – can still cause serious injury. Top tips: To ensure safety it’s essential that a risk assessment has taken place to identify the best way to load and secure goods onto the vehicle. Securing solutions may need to be considered and in some cases you may wish to install a harness system to protect those working at a height. For more guidance on safe working at a height, why not book on to our safety training course? Loading sites are likely to be busy with trucks, heavy machinery and vans. Of course, amongst all these pieces of machinery is you – the worker. Top tips: To ensure you don’t get caught up in an accident wear the appropriate clothing, such as a high visibility jacket and a hard hat. Make sure that all those not involved in loading or unloading vehicles are clear of the site at all times. Also make sure that everyone knows how the loading and unloading will happen. Visiting drivers must receive the proper instructions and be co-operated with to ensure safety on site. 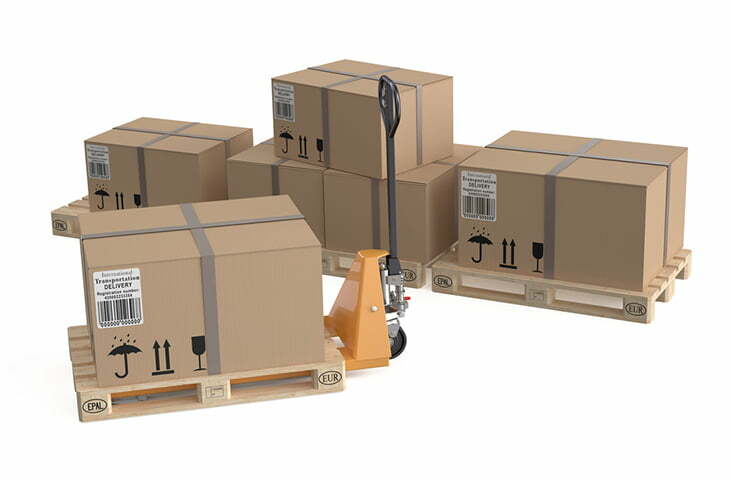 A worker needs to be sure of vehicle stability when loading it with goods. Vehicles can creep away from the edge of the loading bay as newly loaded equipment jolts the vehicle or compresses its suspension. Top tips: Make sure all vehicles and trailers are parked on firm, level ground and have their brakes applied. For more safety tips and advice, why not browse the Browns Ladders blog? We’ve got plenty of helpful articles on a number of different topics, designed to keep you safe and injury-free at work.